The Fairfield Department of Health is committed to serving the Fairfield County community by preventing disease, protecting the environment, and promoting healthy lifestyles. 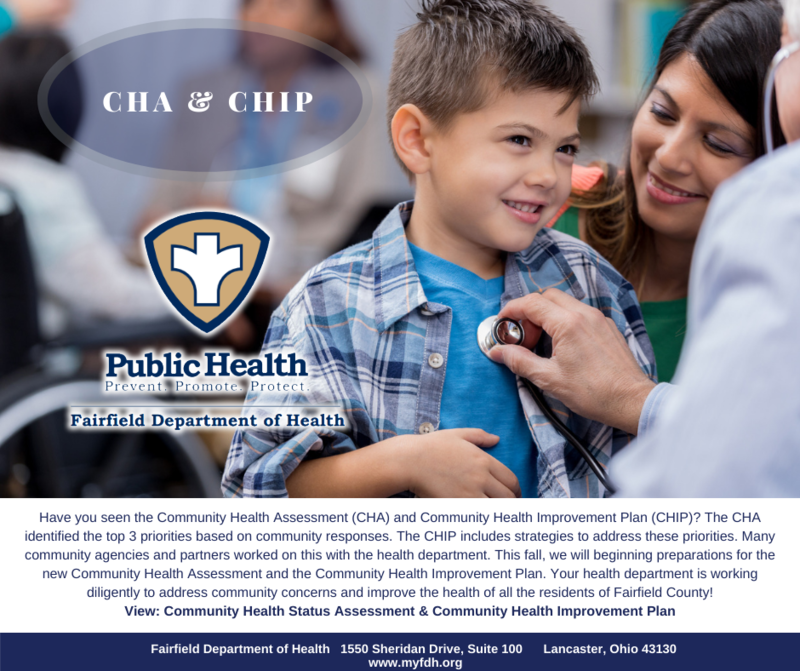 Have you seen the Community Health Assessment (CHA) and Community Health Improvement Plan (CHIP)? The CHA identified the top 3 priorities based on community responses. The CHIP includes strategies to address these priorities. Many community agencies and partners worked on this with the health department. This fall, we will beginning preparations for the new Community Health Assessment and the Community Health Improvement Plan. Your health department is working diligently to address community concerns and improve the health of all the residents of Fairfield County!